Here’s a neat idea from blogger the Good Weekly. 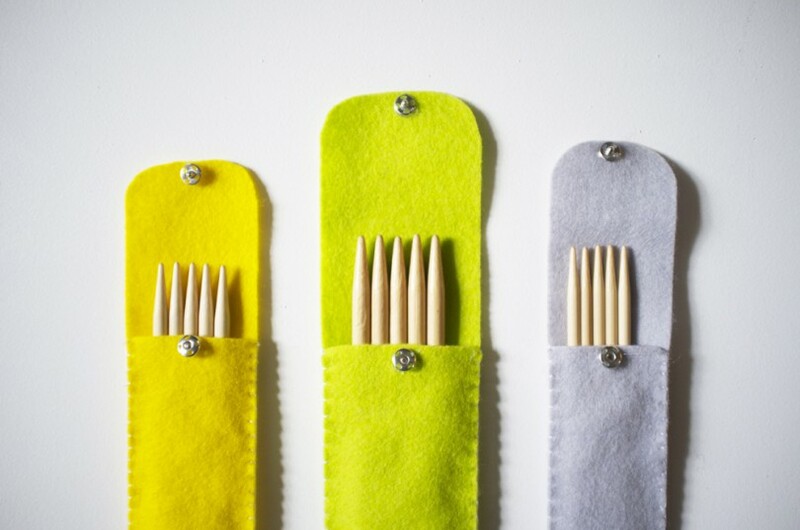 DIY felt DPN (double-pointed needle) cases. How cute are they? If I had a million hours to do all the cute stuff I found online, I would be a happy camper. But this project… I might just do, even though I don’t have a million hours. Go visit the Good Weekly to see their super simple tutorial. This entry was posted in Pattern Spotlight and tagged case, DIY, double-pointed needles, dpn, felt, free, knitting needles, needles, pattern, sewing, tutorial on November 13, 2013 by onemilljellybeans.